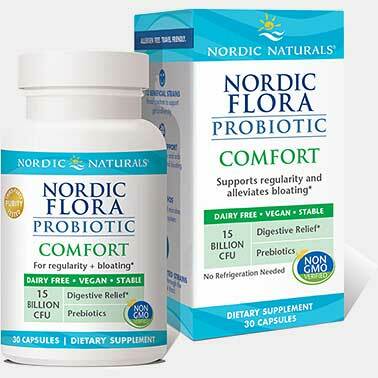 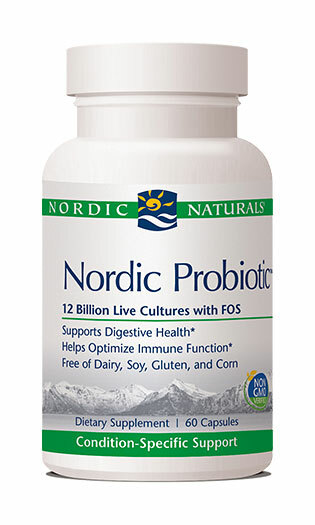 Nordic Probiotic™ is your go-to probiotic formula for everyday wellness. 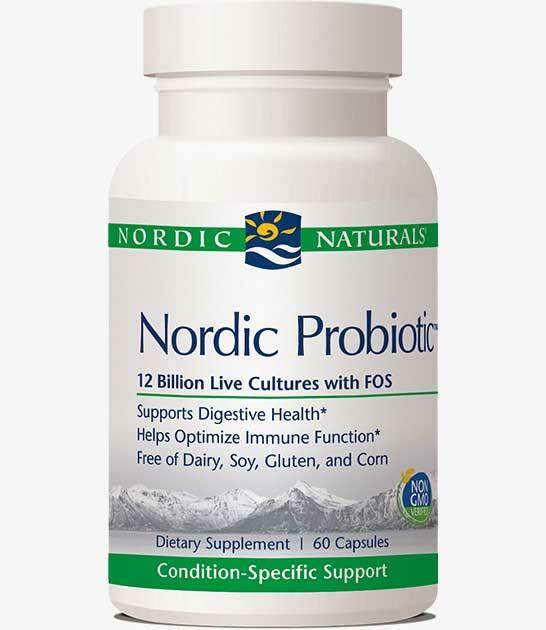 It offers their original blend of four probiotic strains, which includes the probiotic powerhouse Lactobacillus acidophilus DDS-1®, plus prebiotic FOS. 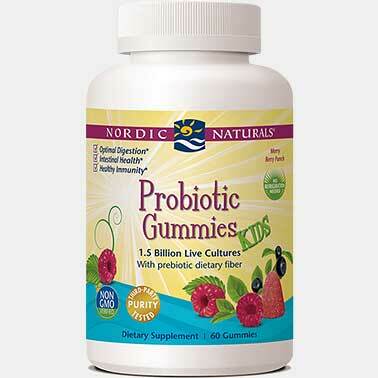 These research-supported strains survive passage through the GI tract to provide reliable support for digestive wellness and immune health. 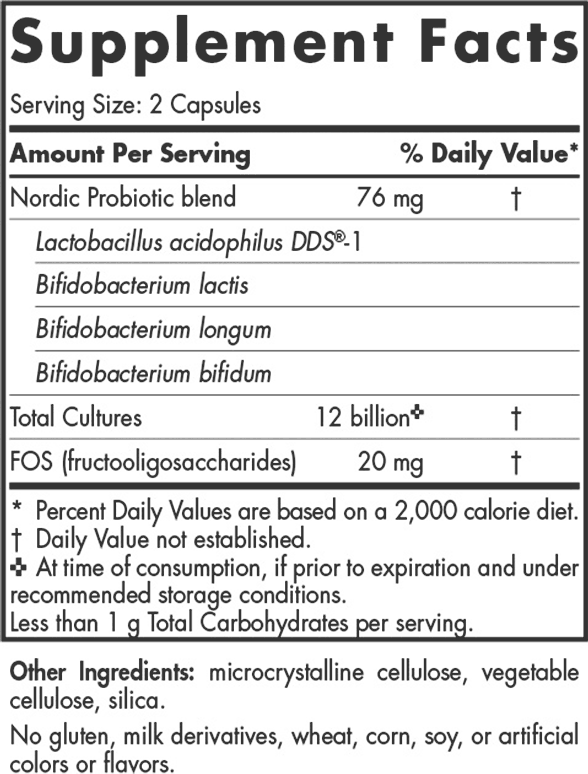 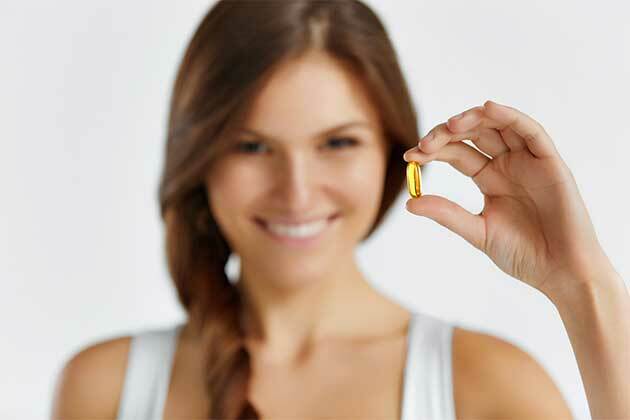 SUGGESTED USE: Two capsules daily, with or before a meal, preferably in the morning, or as directed by your health care professional or pharmacist.